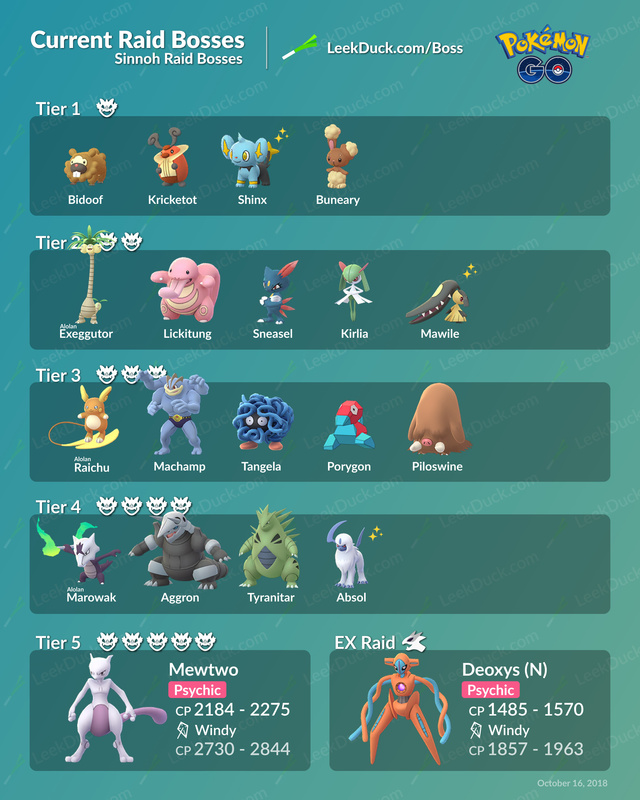 These are the Raid Bosses for the first release of Sinnoh Pokémon. They arrived on October 16, 2018. Mewtwo will leave on October 23, 2018. It’s unclear if we’ll see a change in Raid Bosses in the future Sinnoh Release Waves.